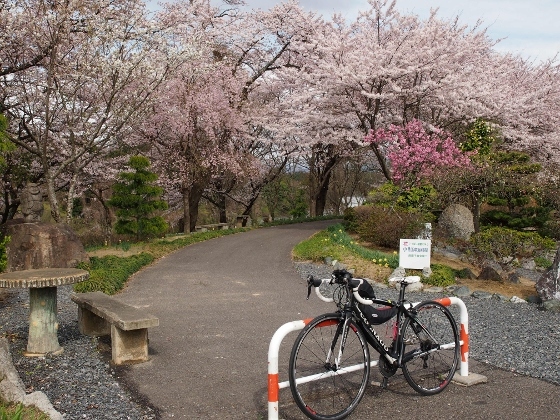 At this time of the season, we can enjoy many beautiful cherry blossoms in Koriyama and in adjacent towns. Uchide cherry tree, shown above is one of them. Today it shows its best bloom under the clear sky. 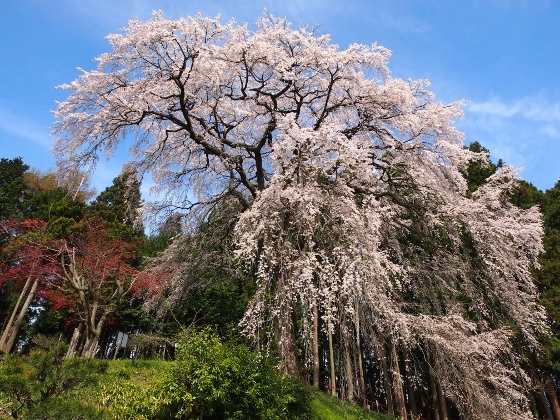 The weeping cherry tree is 220 years old. 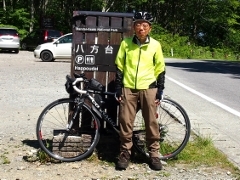 On the way, I could rest at Kowadaki Park which was also beautiful with its cherry blossoms. 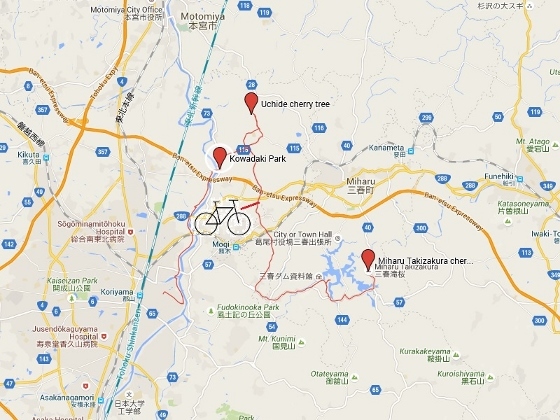 The park is located just beside the Abukuma River. At last, photo above shows today's view of Miharu Takizakura cherry tree. 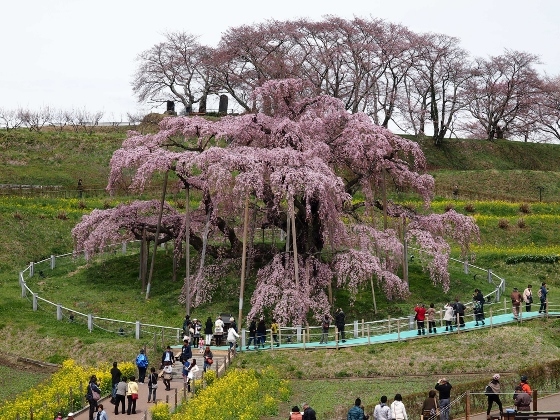 This gigantic cherry tree, though yet in its 50% bloom, already shows dignity and attracts many visitors. I will further update the status early next week.